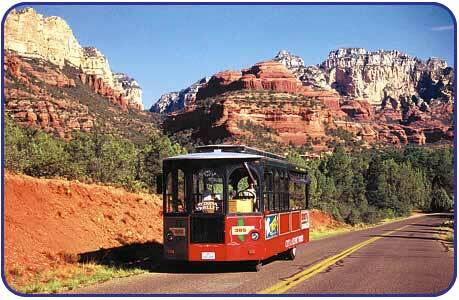 So during our quick weekend trip to Sedona this last weekend we decided to take the Sedona Trolley. There are 2 different tours the Sedona Trolley takes in town and each trip takes about 55 minutes. We took the first trip in the morning at 9 am, which is Tour B. Tour B visits the west side and then leaves town entirely, heading out into the gorgeous Dry Creek Valley where the stunning vistas of Boynton and Long Canyon are revealed and savored. Two stops along the way make for great photo opportunities. The tour is completely narrated to share information about the city and its surroundings. We got there with plenty of time, a side effect of an early riser child. Jayden was very anxious to get going. He kept saying, "this is gonna be fun!" I was nervous that there were no seat belts or car seats.. YIKES! But I kept good hold of Jayden and most places we went were not buys. There is one photo where Jayden puts his head over the edge of the side.. freaked me out, but we were going slower at that point. He loved it of course. And we saw a few notable sites along the trip! Madonna's house?? Or the Pink Jeep Tour guy actually told us this is said to be her house. I got the photo on the trolley tour. The only McDonald's without the golden arches~! Do you see it? He's laying on his back with Woodstock on his nose. We had a great time in Sedona and really enjoyed the Trolley ride. I would definitely recommend taking the ride and taking in the sites of Sedona. The town is so pretty and there is so much to see. 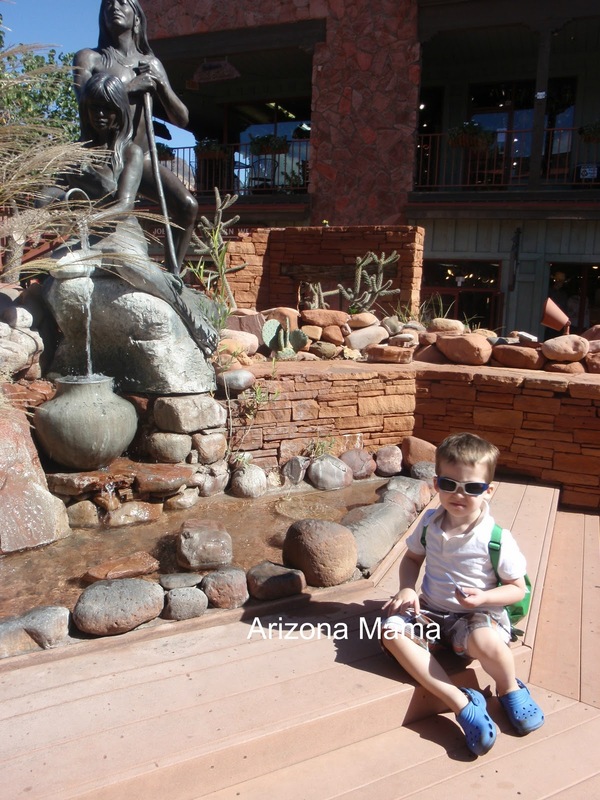 Jayden really enjoyed our time in Sedona and especially the Sedona Trolley ride. With only a weekend there we barely saw a portion of it. I can't wait to go back and enjoy more sights. The temperatures there are much cooler then in the Phoenix area. Most of the town roads have roundabouts instead of traffic lights and it makes the flow go smoother. 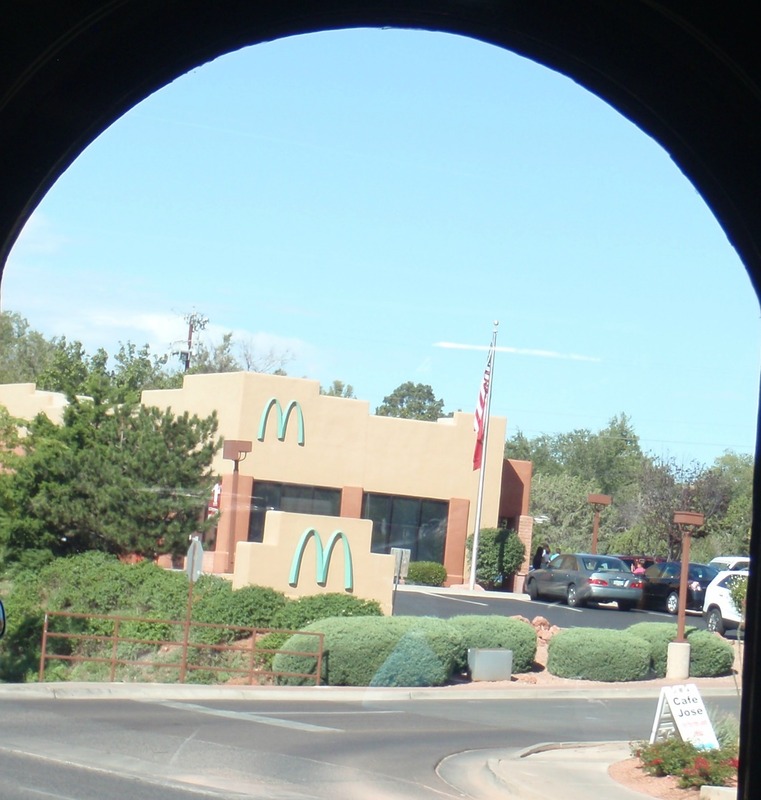 Thank you to Sedona Chamber of Commerce for providing us with tickets to ride the Trolley and for the coupon book. I was provided free tickets for my family to ride the Sedona Trolley and a big coupon book to use around town. No compensation was provided for this post. All thoughts and opinions were my own and not influenced by anyone. disclosure. Wow, that's sweet that you got tickets! That looks like so much fun, but I"m with you, scary with no seat belts!! Super cool Snoopy rock! LOL! Love it! I've never been on a trolley and that looks like so much fun!! That looks like such a fun excursion! I have been to Phoenix twice with my family over Christmas and we went to several tourist type places, I wish we had done this! What fun! Thanks for sharing. It looks fun. I have always wanted to go to Sedona.